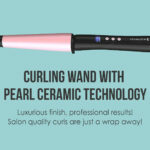 Home > Blog > Is it a good idea to bring along your curling irons on a flight? With the barrage of travel approved items available in the market today, it is quite clear that the rules which apply to carry items are only getting stiffer. There are strict rules about what a passenger can and cannot take while on a flight. If being afraid to fly is an issue for some of you, then this is yet another bummer for any passenger. If you are the kind of girl who likes to carry a thing or two with her, then you need to know what exactly is allowed and what isn’t. 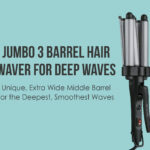 It is even more critical if you are obsessed with hairstyling and cannot do without your styling tools. 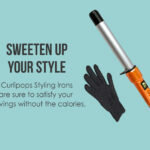 So, are your curling irons on the approval list and will your tools be pitched by one of those well-intentioned TSA agents, just in case your curling irons are not on the list of approved items. Let’s figure out. The TSA (Transportation Security Administration) is in charge of checking your luggage for items that are fit or unfit to go on-board on a flight. Every little thing that is to go along with you is going to go under their radar. So, if you are a lady who has taken items such as bath oils, hair sprays, deodorants, eyelash curlers, or cuticle cutters, then you shall sail past security with every one of those items in your luggage. Now here’s the popular belief. Curling irons and other heating tools are not included on the ‘Okay –to-bring’ or ‘Okay-not-to-bring’ list. So, it would be a safer option to bring your curling irons along with you if the TSA pitches it. 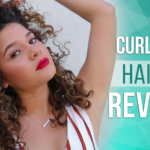 If you are not willing to gamble with your curling irons, then unpack your curlers right now. Your own items give you a secure feeling at foreign locations and make you feel at peace even if you are away from home and crashing on a school friend’s couch. 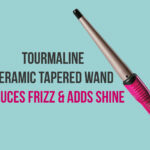 In most cases, if you don’t believe in the hype, traveling with curling irons is not as regulated as most people think. Here’s the million dollar revelation. The actual truth behind this dilemma is that the Transportation Security Administration will allow you ladies to keep your curling irons in your carry bag or your checked luggage bag ‘ONLY IF’ the curling iron is corded. If you are planning on carrying a cordless curling iron that is powered by a butane cartridge, you must carry it in your checked luggage bag. 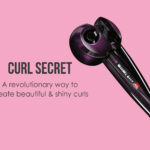 Moreover, you must place the heating surface of your curling iron within the iron’s safety cover. You will only be prohibited to travel with spare cartridges. So, follow these simple instructions diligently, and you are good to go.